This is not your fault,” advised John Washington, a 53-year-old resident of Palm Springs. John is a veteran who opened-up about his experience living with post-traumatic stress disorder (PTSD). 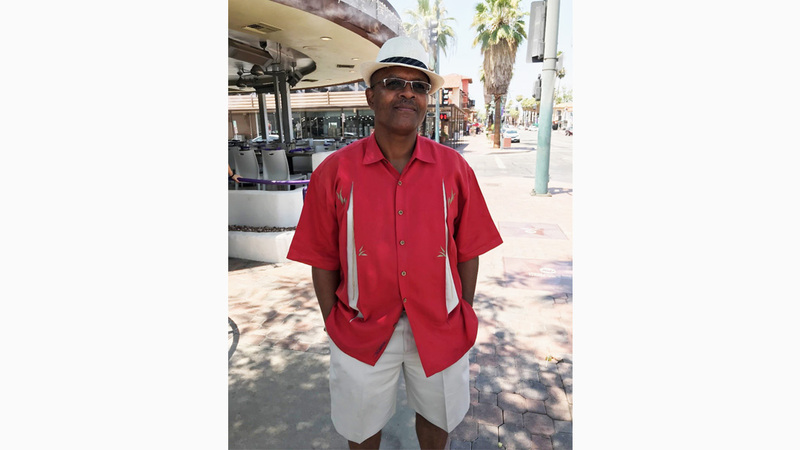 Washington served over 20 years in the United States Air Force and although he is proud to have served his country, his experiences in the Air Force resulted in his development of PTSD. Before delving into John’s moving narrative, we must first explain what PTSD is. As the name implies, post-traumatic stress disorder comes after someone has experienced a traumatizing event of some sort and is classified as a mental illness. These events can range from an assault, experiencing a natural disaster, or most commonly, military combat. Dr. Jeannie Lochhead, a psychiatrist at UCR Health, distinguished between the various symptoms people with PTSD may exhibit. She explained that the Diagnostic and Statistical Manual of Mental Disorders (DSM-5) places symptoms into three categories: intrusive, avoidance, and alterations in cognition and mood. Someone experiencing intrusive symptoms may have reoccurring, involuntary memories, reoccurring dreams or nightmares, and psychological distress in response to cues of the traumatic event. Another category of symptoms is avoidance. This means a person persistently avoids anything that might trigger a memory of the traumatic event and goes out of his or her way to avoid reminders of that trauma. This may include avoiding certain places, conversations, or activities that might bring back those upsetting memories. Lastly, a person may have negative alterations in cognitions and mood. This could lead to changes in arousal and reactivity, which comes with irritable behavior and angry outbursts, being hyper-vigilant, startling easily, and difficulties with sleeping. John revealed he didn’t notice a change in his personality until about ten years after he had returned home from the wars. Being in the Air Force, he witnessed intense events that stuck with him, such as the smell of burning bodies, or passing by rows of covered corpses, unsure if it was one of his friends. He noticed he was temperamental and filled with rage whenever he argued with someone. Although John had a delayed onset of the disorder due to his traumatic experiences, he exhibited all the symptoms explained above. John is a great example of the positive impact of therapy. He looks forward to his monthly one-on-one, hour therapy sessions and takes medication to help him sleep. He is still on his journey to recovery but has made great improvement. Each of us can leave a lasting impression on a stranger, family member, or friend with PTSD. All it takes is a moment to sit down, talk about it and listen. Your support and encouragement will help in more ways than you can imagine. If you have any questions or feedback, please feel free to email The Center for Healthy Communities at chc@medsch.ucr.edu. Abigail Largaespada is a student intern with the Center for Healthy Communities at the UCR School of Medicine.